18/12/1998 Certificate of Corps Officers Military Academy (Medi-cine), Greece. Graduate as a First Lieutenant. 21/12/1998 – 24/12/1999 “Academy of Army Health Officers’ Enforcement”, Grad-uate with grade “Excellent”. 03/12/1998 Licence to practice Medicine, Registration number G1/62117 Hellenic Republic, Prefectural Authority of Thessaloniki, Directorate of Public Health, Greece. 24/07/2009 Licence to practice the qualification of Medical Special-ty: “Neurosurgery” Registration Number: 4091. Hellenic Republic, Prefectural Authority of Eastern Attica, Gen-eral Directorate for Quality of Life, Directorate of Public Health, Greece. 02/05/2014 – 02/05/2017 Full and Specialist Registration with the Licence to prac-tice Medicine, General Medical Council, GMC Reference number: 7473706. Expiry date/Annual retention fee due date: 02/05/2017. 01/08/2009 – up to date Hellenic Neurosurgical Society. 08/08/2010 – up to date Consultant Neurosurgeon “401” General Military Hospi-tal of Athens, Greece. 01/10/2010 – up to date Consultant Neurosurgeon in General Private Hospital “HYGEIA Hospital” Athens Greece. 24/07/2009 – 07/08/2010 Consultant Neurosurgeon, Director of Neuro-surgical Department at “492” General Army Hospital of Alexandroupolis, Greece. 19/05/2009 – 24/07/2009 Medical Officer – Doctor, Specialty: Neurosur-gery in Department of Neurosurgery at 492 General Army Hospital of Alexandroupolis, Greece. 01/02/2009 – 18/05/2009 Medical Officer – Doctor, Specialty: Neurosur-gery in Department of Neurosurgery at “401” General Military Hospital of Athens, Greece. 01/02/2006 – 31/01/2009 Specialty Training post, Grade: ST3+ equiva-lent, Specialty: Neurosurgery in Department of Neurosurgery at “Asclepieio Voulas” Gen-eral Hospital of Athens, Greece. 24/11/2005 – 31/01/2006 Medical Officer – Doctor in Department of Neu-rosurgery at “401” General Military Hospital of Athens, Greece. 23/11/2004 – 23/11/2005 Specialty Training post, Grade: ST3+ equiva-lent, Specialty: Neurosurgery in Department of Neurosurgery at General Hospital of “Agia Sofia”, Children’s Hospital of Athens, Greece. 16/10/2004 – 22/11/2004 Medical Officer – Doctor, Specialty: Neurosur-gery, in Department of Neurosurgery at “401” General Military Hospital of Athens, Greece. 15/07/2004 – 15/10/2004 Athlete’s Doctor, Attendance at Olympic and Paralympic Games, “Athens 2004” as Athlete’s Doctor, Specialty: General Medicine at Olympic and Paralympic Games, “Athens 2004”. 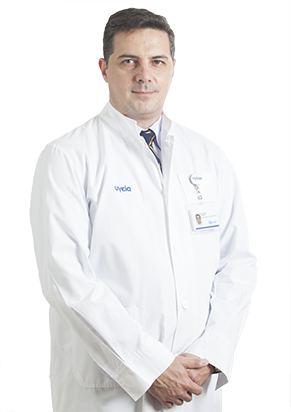 13/05/2004 – 14/07/2004 Medical Officer – Doctor, Specialty: Neurosur-gery in Department of Neurosurgery and ER at “401” General Military Hospital of Athens, Greece. 11/11/2003 – 12/05/2004 Specialty Training post, Specialty: Neurology in Department of Neurology and ER at “401” General Military Hospital of Athens, Greece. 12/05/2002 – 11/11/2003 Specialty Training post, Medical Officer – Doc-tor, Specialty: General Surgery in Department of General Surgery and ER at “401”General Military Hospital of Athens, Greece. 08/03/2001 – 11/05/2002 Medical Officer and Commander of Band, Med-ical Officer – Doctor in Zeta Amphibious Raider Squadron in Nea Peramos, Greece – Hel-lenic Army General Staff (Special Forces). 08/01/2001 – 08/03/2002 Medical Officer and Commander of Band, Med-ical Officer – Doctor in 2nd Special Unit of National Guard in Lesvos, Greece – Hellenic Ar-my General Staff (Special Forces). 21/12/1998 – 07/01/2000 Medical Practitioner, in “401” General Military Hospital of Athens. Folk dance lessons in the “Semeli” Folk Dances Club where I am member the last seven years. This is a way to get closer with our culture. Postgraduate courses of First Paediatric Department, University of Athens, “Agia Sofia” Children’s Hospital. “Girl with scoliosis, 4 years old”. March 2005, oral presentation in students. Staff lessons following the educational programme in 401 General Army Hospital, Greece. Cerebrovascular surgery and Pediatric Neurosurgery. «The role of perinatal and other prognostic factors in the appearance of brain tumors in childhood». S. Plakas1, G. Sfakianos2, N. Prodromou2, C. Tzavara3, S.A. Papadimitriou4, A. Gryparis4, A. Linos5, Neuroepidemiology, April 2016 (on press). «Large isolated internal iliac artery aneurysm» Vourliotakis G1, Kantounakis I2, Plakas S3, Tzilalis VD1, Internal Medicine, 2015. 54(8): 983-984. «Treatment of patients with complex vascular brain diseases and spinal cord diseases in the “Hybrid” operating room». Ch. Chrysicopoulos, N. Nasis, S. Plakas, I. Ioannidis, A. Andreou. Medicine (Journal of Company of Medical Studies in Greece), 2014 Nov; 102: 33. «Treatment of brain aneurysms with new technology flow diverter stents». Ch. Chrysicopoulos, N. Nasis, S. Plakas, I. Ioannidis, A. Andreou. Medicine (Journal of Company of Medical Studies in Greece), 2014 Nov; 102: 12. «Gliadel Wafers in the Treatment of Malignant Glioma: our Experience». S. Plakas, I. Spanos, G. Dimogerontas, E. Rokas, M. Papadopoulos, A. Rovlias, E. Konstandinidis. Review of Clinical Parmacology and Pharmacokinetics, 2008 May; 22(2): 296.